Barış is the CEO and a Board Member of Mudo, Turkey’s leading apparel, furniture and home accessories retailer. She has an extensive 16-year experience in consulting and 10-year experience in sales management and marketing. 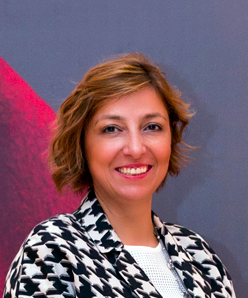 Prior to Mudo, she was a partner of Accenture’s Istanbul office, following her 11 year role at the company. She has key professional and personal skills on Business Strategy, Operations and Financial Management, Leadership and Organization. Barış holds a Bachelor’s Degree in Industrial Engineering from Bilkent University and two Master’s degrees in MIS and MBA from Bogazici and Koç Universities.